Yesterday, was the race of the falling leaves, one of the five Monuments (major Classics races) of the cycling season. We should’ve been there enjoying the live racing, drinking Aperol Spritzs in some of our favourite cafes and appreciating the wonderful scenery. We weren’t there for two reasons: my beloved’s hip and the parcours. 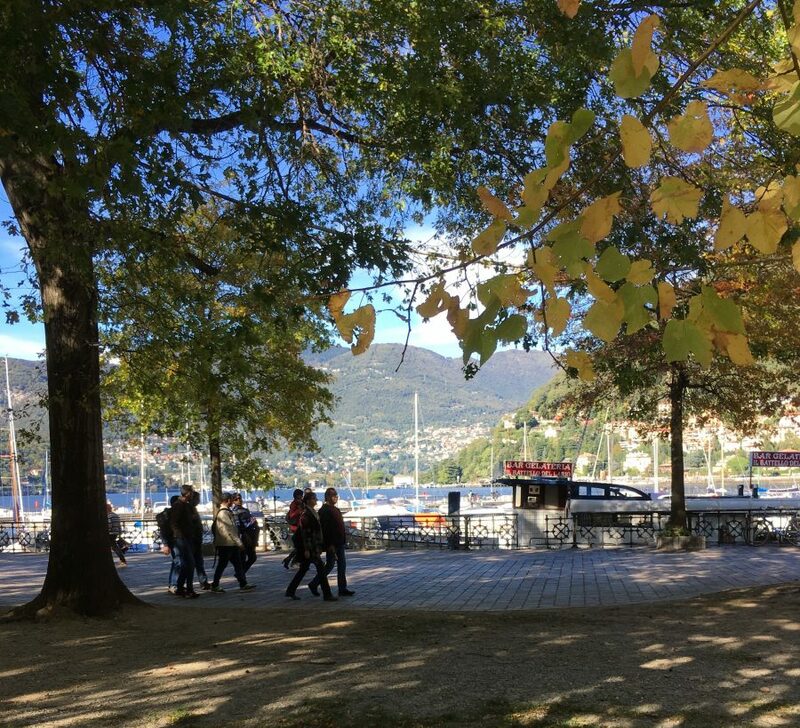 We prefer to stay in Como rather than Bergamo to watch the race. 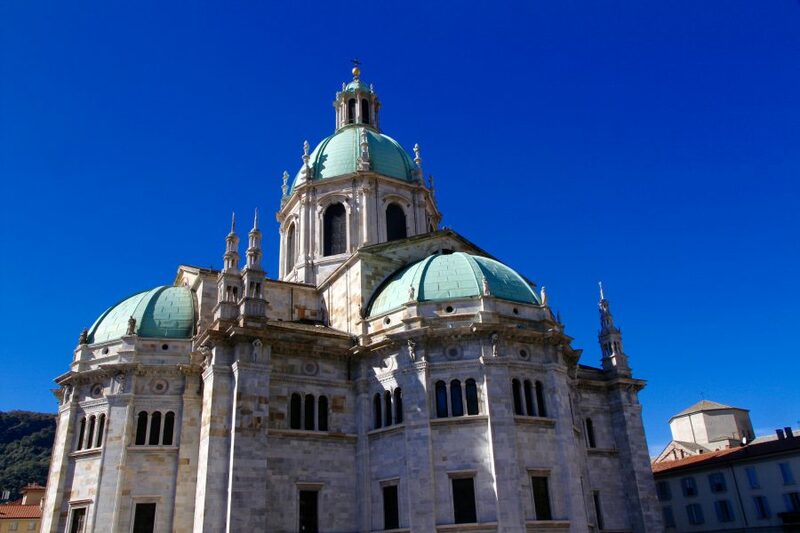 We’ve done Bergamo, it’s a perfectly lovely town but it’s much further away from us by car than Como. We like it when the race starts in Como, as it did in 2016. Last year’s race started in Bergamo and, thanks to traffic problems, we had a nightmare of a journey to collect our accreditation. Naturally we were expecting this year’s race to start once more in Como. It didn’t. It started in Bergamo, again. Consequently we were more than happy to watch the race on the big screen. The main action at the pointy end of the race involved last year’s winner who lives nearby in Lugano, Vicenzo Nibali (Bahrain-Merida), initially going mano-a-mano with the winner of this week’s Milano-Torino, Thibaut Pinot (Groupama-FDJ). 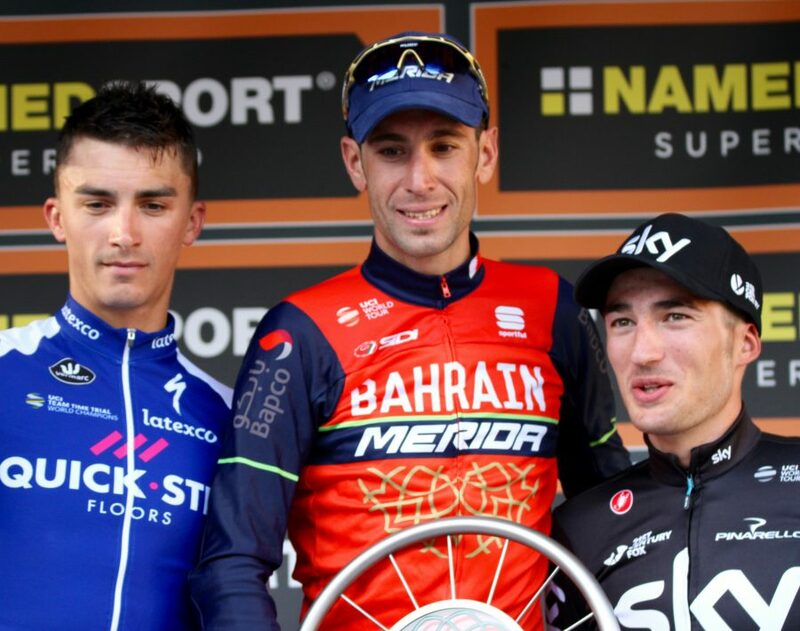 The latter dropped the former and prevailed to win his first monument and become the first Frenchman to win the race since Laurent Jalabert in 1997. Despite missing out on a trip to Como, it’s not all doom and gloom. We rather enjoy a bit of la dolce vita at this time of year, the cycling is merely an excuse or rather our reason to visit. 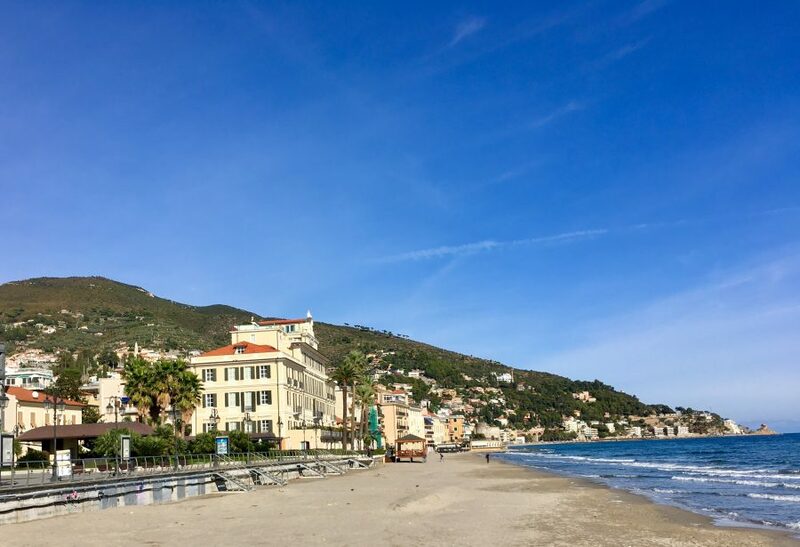 Instead, mindful of my beloved’s soon-to-be-replaced hip, we’ve decided to spend a couple of days in Alassio at one of our favourite hotels which has a Thalassotherapy treatment centre. My beloved will be able to soak his cares away during the day and we’ll be able to enjoy nibbles and Aperol spritzs galore in the evening. We’ll be strolling along the shore rather than the lake – a result all round! In order to have a complete break, we’ll be leaving the mobile phones, iPads and Macs at home. It’ll be a three-day digital detox. I wonder how we’ll fare? 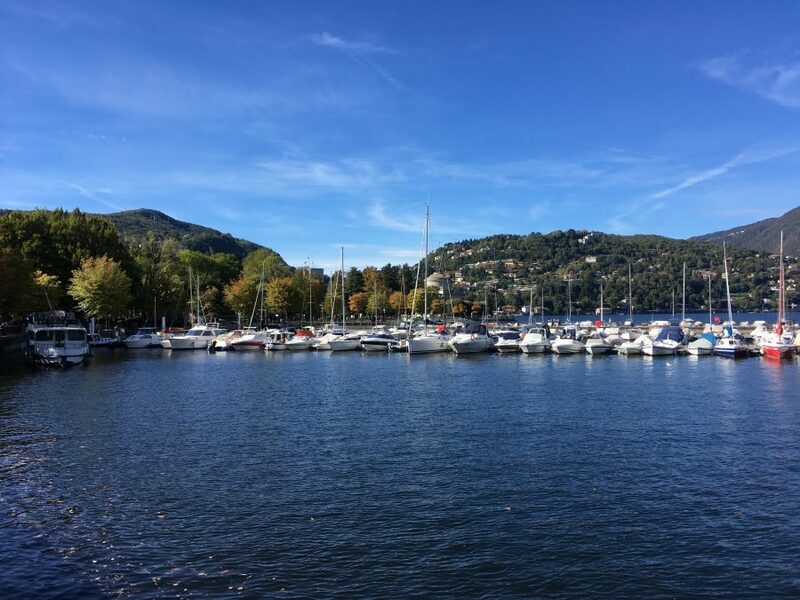 We were recently in Como to watch what I regard as the last race of the cycling season, Il Lombardia, also known as the race of falling leaves. The weather was glorious and while there were fallen leaves most of these were dead from a lack of water and not the changing of the seasons. This was our third consecutive trip to the race but most definitely the best in terms of the weather. Northern Italy, in common with the South of France, has enjoyed an Indian Summer. We drove over on Friday and spent the afternoon wandering around Como which, as usual, was busy with tourists from all over the world. After our less than convivial experience with a B&B in the town last year, we had chosen one up the hill behind Como with magnificent views of the lake but, more importantly, good sound-proofing. After a lengthy stroll around town we were ready for a bit of la dolce vita with an apero. It was still clement enough to sit outside in the late afternoon sun and people watch over an Aperol Spritz and nibbles. To be honest, we weren’t particularly hungry having stopped for lunch in Nove Liguri. I had eaten a delicious spaghetti aglio e olio (garlic and olive oil) which rather lingered on the taste buds and, as my beloved was quick to advise, the breathe. We had planned to get up early the next morning and drive over to Bergamo for the start of the race but, instead, opted for a lie in. Well, it was a very comfortable bed! After a plentiful breakfast, we strolled into town. Como was buzzing, particularly around the market where stalls were laden with glossy, plump seasonal fruit and vegetables. The sky was a deep blue and while it was warm in the sunshine, it was still chilly in the shade. We opted for a walk along the shoreline before finding a restaurant for lunch. To be honest, you’re spoilt for choice when it comes to bars and restaurants. After lunch, we settled down to watch the race unfold on one of the many big screens in town. We opted for the one closest to the finish line and hence had a grandstand view of the finish to an exciting race. I’d already dropped off my baked goodies at the various buses so some of the riders were in for a pleasant post-race surprise. An Italian winner naturally proved popular with the spectators. The victor, Vicenzo Nibali, lives close by in Lugano, so these are his local roads and that knowledge was a deciding factor in his victory. In fact, it’s a lovely area to ride around. 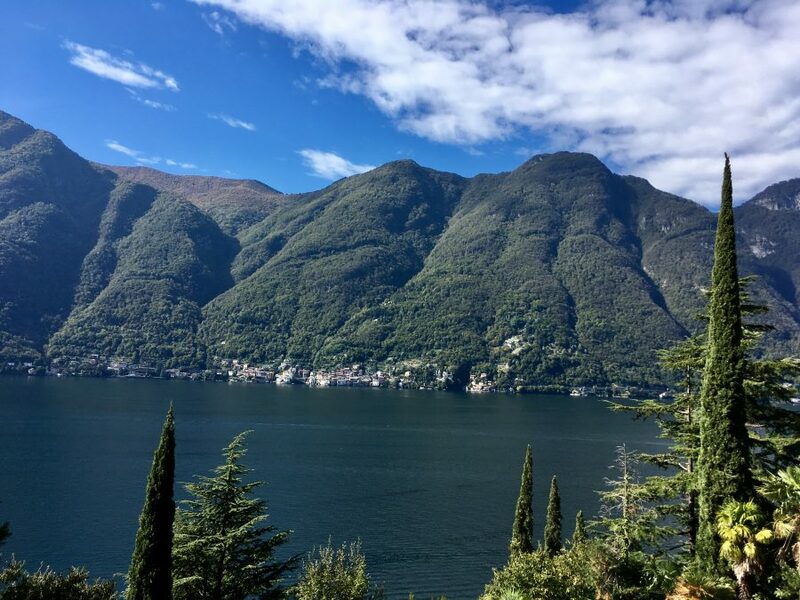 The roads are surprisingly quiet around the various lakes (Lugano, Como Varese) and while the roads are largely undulating there are some testing climbs. If you overdo it, you can just get one of the many ferry boats back to your starting point. After a hearty lunch, we opted once more for an apero and nibbles before heading back to our B&B and another good night’s rest. Sunday morning, I raided the shops for a few goodies to take back with us. It’s all too easy to go overboard but I always like to buy a few local products for us and friends. Again, the weather was fabulous so we decided to drive around the lake and enjoy lunch in the open air before driving back to France. It had been a very enjoyable week-end and we resolved that, next time, we’d bring our road bikes with us.